Properties in Lighthouse Park average 4.6 out of 5 stars. 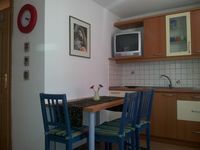 Elegant and quiet apartment located in the heart of Roman Trieste. 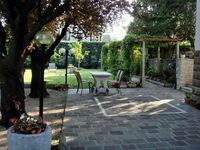 Property 72: Elegant and quiet apartment located in the heart of Roman Trieste. Piran Near Sea - Spectacular Private Roof Terrace, Spacious Apartment, Views! Property 81: Piran Near Sea - Spectacular Private Roof Terrace, Spacious Apartment, Views! Property 96: Spacious apartment, washing machine, dogs allowed. We've had wonderful time in Piran. The apartment is nice and small as advertised, and it is clean, things work and it is close to everything - the main plaza, shops, restaurants, sea. One of the nice suprises was the free bus between the Fornace garage and the centre of Piran, which solves the parking dilemma, since Piran is not generally accessible by car. Piran and the entire area is great for taking nice walks, eating outside, swimming in Adriatic and in general for a romanting getaway. Highly recommended!